Posted on October 23, 2012 by Emily S.
after my first marathon (which was a miraculous success) i decided i was going to do 5 marathons in 5 years. i mean, why not? 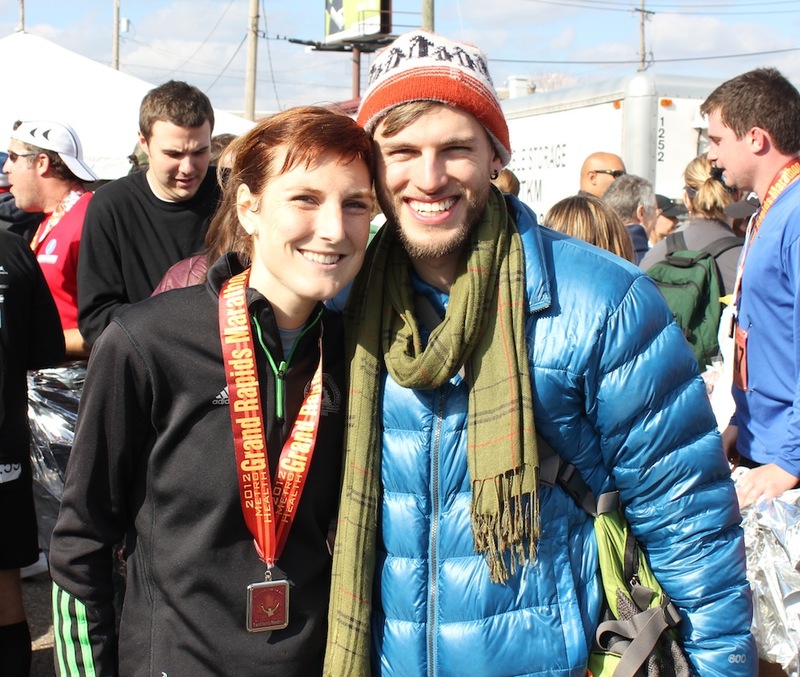 so one year later i ventured to Boston for my second marathon – again a great success. i began to think, wow, this marathon thing is attainable. 5 years? sign me up! 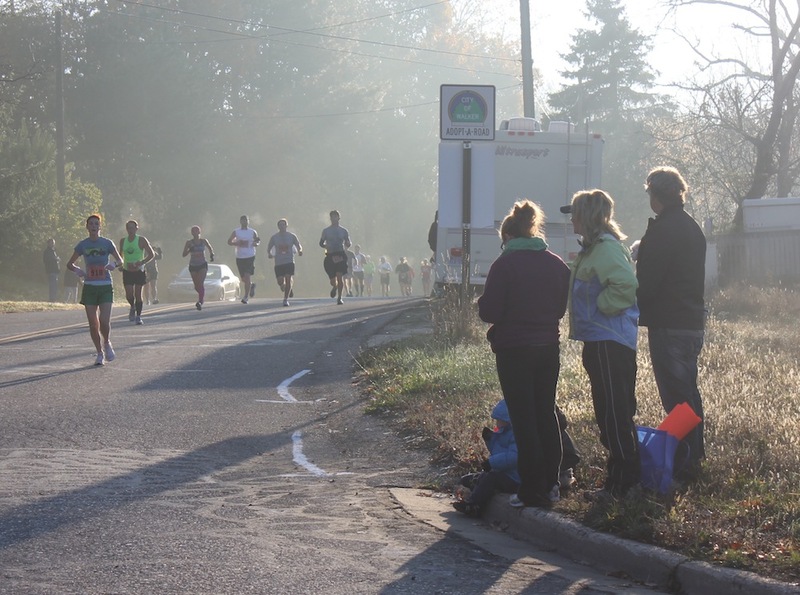 this past weekend, i ventured out on my third marathon. i tried a different training program, one that was approved and applauded by many a runner. i followed it to a T, logging many miles. i had a few minor health issues during training but nothing huge. i did the typical preparations, my friends and family all came to watch, and i wanted to PR (personal record). given all the training i had done, i thought this was a perfectly reasonable request – to get a better time than the two marathons before. 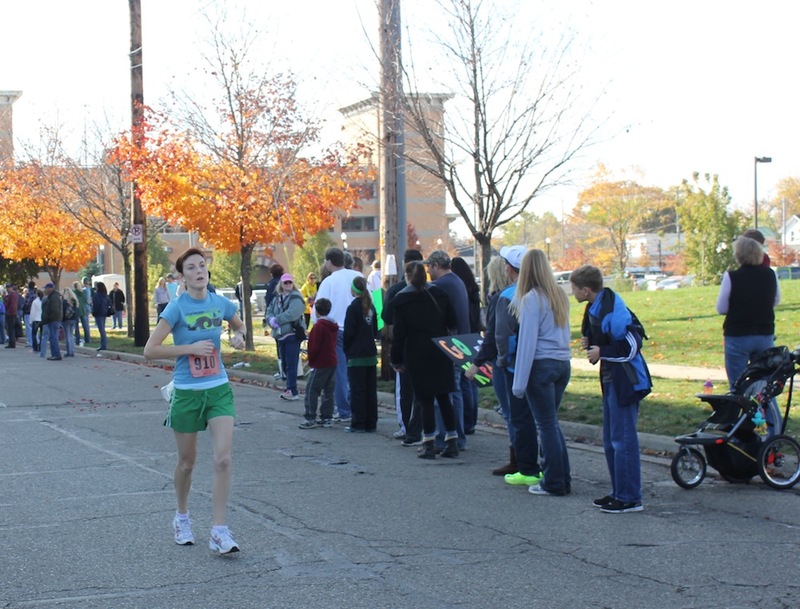 i began the race, smiled at my parents, my friends at various mile markers, and friends from running days past. i tried to smile, to show them i was enjoying this when inside i was breaking. my legs had quit at mile 5. my mile splits were getting slower and slower. my mental energy was waning quickly. there was a point when the half marathoners turned off the path to their own route and it took everything within me not to turn with them. i had to keep going even though i had long given up on having a good race. i finished. 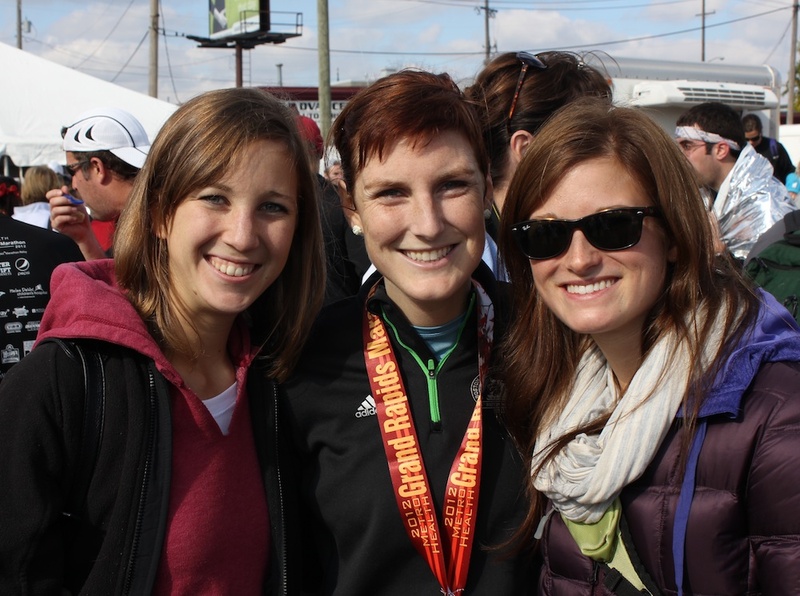 i did my 3rd marathon but as i crossed the finish line, i began to sob. i was so angry and disappointed and frustrated at all the work i had put in and the results that it obtained. my friends and family were all there, and i just buried my face in chris’ jacket. i was embarrassed that i had invited all of these people to come and watch and cheer for me and to see me fall so short of where i had hoped to be. because my friends and family are so wonderful, they all told me i did great, that they were proud of me. Chris assured me 17 times over that he was so proud of me even more so for sticking this one out than for running faster times at both marathons before. unfortunately no matter which way you slice it, i didn’t believe it. in the past couple of days, i’ve limped around. this is unfortunate because it makes people ask questions. all of my co-workers now knew and i had to tell them the marathon went terribly. every time i limped i was reminded my performance and how disappointed i was. but this is life. this is learning what it means to set goals and not reach them. to try with all your might to attain a new record, just to fall apart. and the valuable stuff is in the days afterward, in realizing that grace is here and all i have to do is extend it to myself. that no one is judging me as harshly as i am judging myself. that tears are okay, but moving onward is also good. so here is to challenges, to being bold enough to accept them. to gracefully also accepting when they don’t go as planned. to extending grace to the person that is hardest at excepting it, myself. and to someday, a few weeks from now, tie up the laces of my running shoes and hit the pavement again. Sometimes striving for one goal puts other goals at risk. Thanks Uncle Ken – always good to remember!! You completed that race. You are brave beyond measure. I am sharing your blog within one I have just written about my own half-marathon training. Thanks Patricia – your journeys in running look awesome – kudos to you as well! Thanks Emily, all good fun, isn’t it!